Check out this interview with SOLA athlete, Darryl, and LETR Officer, Major Webb, for information on the upcoming Polar Plunge in Gonzales! They will be Freezin’ for a Reason. Will you? Click here to get more information, register, or donate. Did you catch Michelle Kwan and Robin Roberts talking about the Unified Relay Across America on Good Morning America? If not, check it out below! Look for some of Team Louisiana in the video! Be sure to check out www.unifiedrelay.org for more information. Join the Unified Relay Across America! 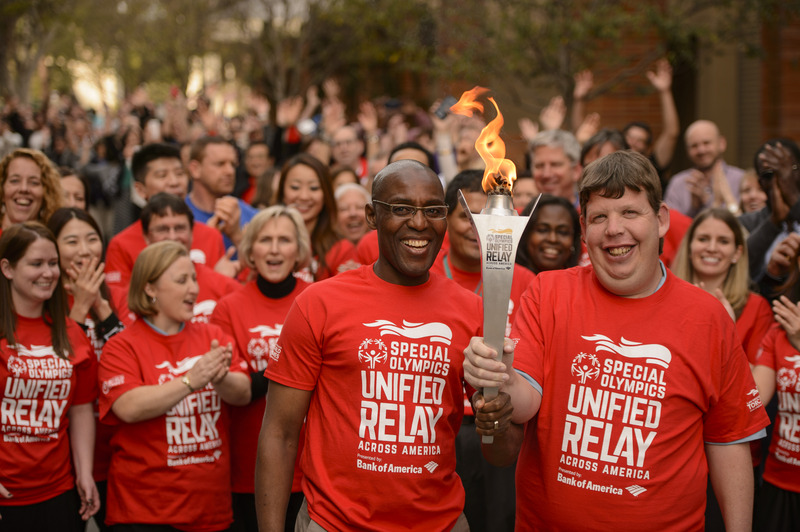 From May 26 to July 10, YOU can take part in the Unified Relay Across America presented by Bank of America, an event that will unify the nation as it delivers the Flame of Hope to Los Angeles for the Special Olympics World Games. ANYONE can be a torchbearer. Register today as a team or individual and take part in the once in a lifetime event to deliver the Flame of Hope and raise money for Special Olympics. Join a movement that is breaking down the barriers for those intellectual disabilities, celebrating differences and becoming unified in the spirit of respect and inclusion. Special Olympics is changing the world through sport, creating respectful and inclusive communities every day, everywhere. Funds raised from the Unified Relay Across America presented by Bank of America will go to Special Olympics to provide sports training, competition opportunities and additional programming that empowers people with intellectual disabilities to become accepted and valued members of their communities. That leads to a more respectful and inclusive society for all. Learn more about Special Olympics and how you can get involved near you. Join SOLA as the Flame of Hope passes through Louisiana on the way to the World Games! Many people are not aware that Special Olympics sports is a catalyst through which our athletes build self-esteem, courage, pride and friendships. Many people are not aware that Special Olympics Louisiana has to raise $2 million each year in Louisiana in order to provide these life changing qualities in our athletes. Many people are not aware we need their time and money to help us offer our programs to our athletes. Please help us spread the word – our athletes need your support. Click here to support Special Olympics Louisiana. Save your beads for SOLA! Carnival season has begun and Mardi Gras is right around the corner and is shortly followed by State Indoor Games. This year’s theme for Indoor Games is Mardi Gras Masquerade and we need your help! 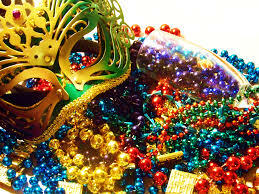 Please consider donating your leftover or unwanted Mardi Gras beads, trinkets, accessories, stuffed animals, masks, etc. for our athletes. Donations can be dropped off during regular business hours at the Special Olympics Louisiana state office, 1000 E Morris Ave, Hammond, LA 70403. For questions or more information you can contact Kate Fussell at 985-345-6644. Thanks! 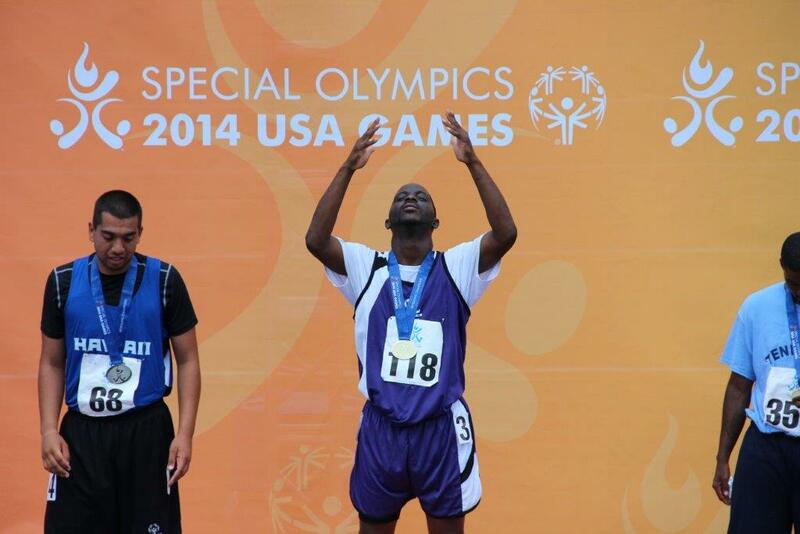 This Throwback Thursday goes back to June of 2014 for Special Olympics USA Games! Louisiana sent a delegation of 101 to New Jersey to compete in the Games. Special Olympics World Summer Games will take place this July in Los Angeles and Louisiana will send a a delegation of six (6)! Our athletes are training hard and ready to compete LA! Help our athletes by clicking here.